Sun glints on the Douro River's glassy surface as you dip your paddle, gliding through northern Portugal's historic Port wine district. Raptors soar overhead as we wind our way between rugged mountains terraced with ancient vineyards. Tranquil days on the river give way to festive evenings at centuries-old quintas, the wine estates of the Douro Valley. Within these hospitable mansions and inns, we share warm personal connections with our hosts, enjoying an inside encounter with contemporary rural life in Portugal. Savor the best in traditional European ambience and cuisine on a Dionysian paddling odyssey through romantic wine country, and visit three World Heritage Sites en route. As our hosts say, "A sua saude"—to your health! A Slice of Old World Europe You Won’t Find Anywhere Else! No One Else Offers The Trip We Do! When we say there’s no other trip out there just like this one, we mean it. 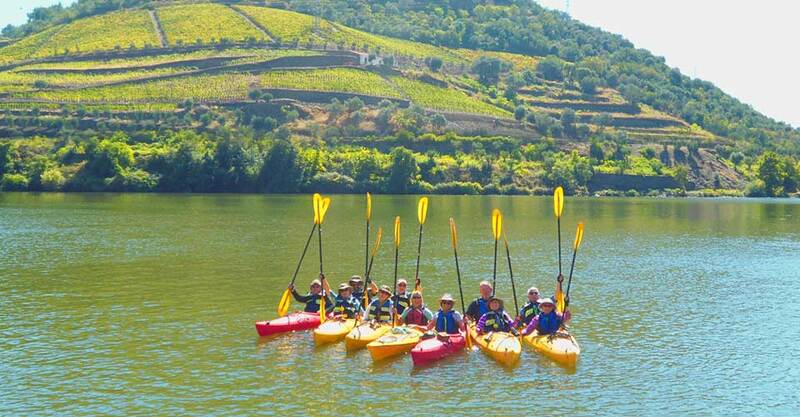 We were the first to offer kayaking trips on Portugal's Douro River, and we have refined this unique itinerary over the years through personal connections with our friends who make wine in the Douro Valley. To paddle the sun-drenched river by day, then revel in food and wine with our hosts on the quintas each night…well, you can only enjoy this rare opportunity with Natural Habitat Adventures. And that’s what makes this European adventure truly special. Our small group offers an intimate opportunity to explore more remote locales and stay in traditional places that bus-based tour groups and river cruise ship passengers don't have access to. With fewer people, we also have a peaceful experience on the river—essential to rewarding nature travel. You're not likely to see other paddlers on the Douro, since boat traffic in this little-visited region consists mostly of small local craft and the occasional sightseeing cruiser on the lower reaches. But no tourist vessels experience the uninhabited wild reaches of the upper Douro, with the quiet, water-level perspective on the shoreline, birdlife and ancient vineyards that we enjoy. Our itinerary includes three very different cultural World Heritage Sites of global distinction. The trip begins in the Historic Center of Porto, built along the hills overlooking the mouth of the Douro River with a rich 2,000-year history marked by numerous monuments. 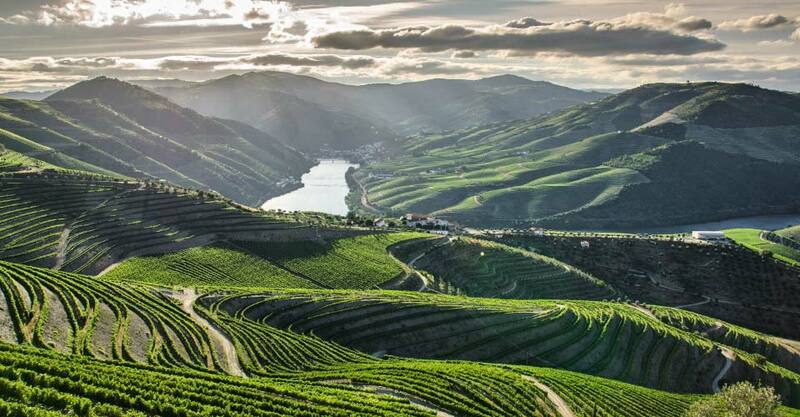 The majority of our time is spent in the second World Heritage Site, the Alto Douro Wine Region, which is the world's oldest demarcated wine region (and where we do the majority of our paddling). The third site is the Coa Valley Archeological Park, where hundreds of panels with thousands of animal figures were carved over several millennia, representing the most remarkable open-air ensemble of Paleolithic art on the Iberian Peninsula. From luxurious manor houses to traditional farmsteads and boutique inns, the historic quintas of the Douro Valley are a highlight of our trip. Many are centuries old and still run by the farming families who have grown grapes and made wine in this region for generations. Some produce other local products as well. Several have opened their doors to fortunate small groups of visitors—an experience not on the typical tourist track. Natural Habitat is known worldwide for employing the best-trained, highest-quality guides in the industry, and that’s certainly the case in Portugal. Your Expedition Leader is an accomplished paddler and kayaking instructor, always at the ready to assist with your comfort, convenience and safety. 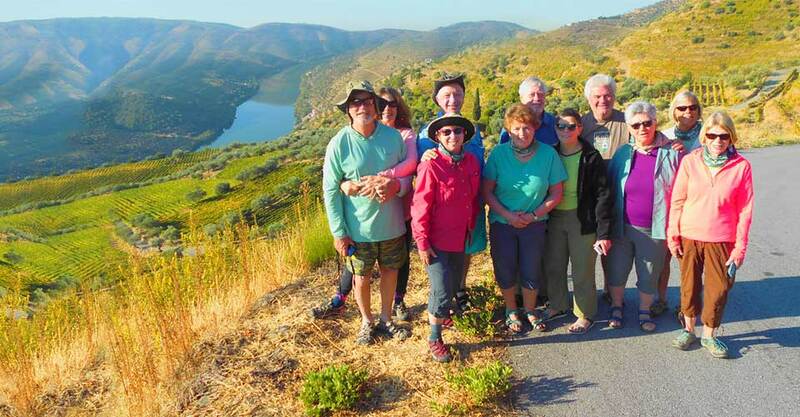 And our local guides are experts when it comes to knowing the hidden corners and rich history of the Douro region, where they've worked for years—not to mention exceptionally hospitable and attendant to your every need. Read our Expedition Leader bios and traveler comments regarding the quality of our leaders. With Natural Habitat Adventures, you receive our exclusive guarantee, clearly stating that we will meet the lofty expectations we set in our promotional materials. To our knowledge, this is the most ambitious guarantee made by any adventure travel company. Read our important promise for yourself!